The Burma-Shave Brush features 100% natural bristles and a sturdy water-resistant handle that’s both ergonomically comfortable and eternally classic. The brush gently massages and exfoliates while creating a richer and fuller lather for a smooth, comfortable shave. 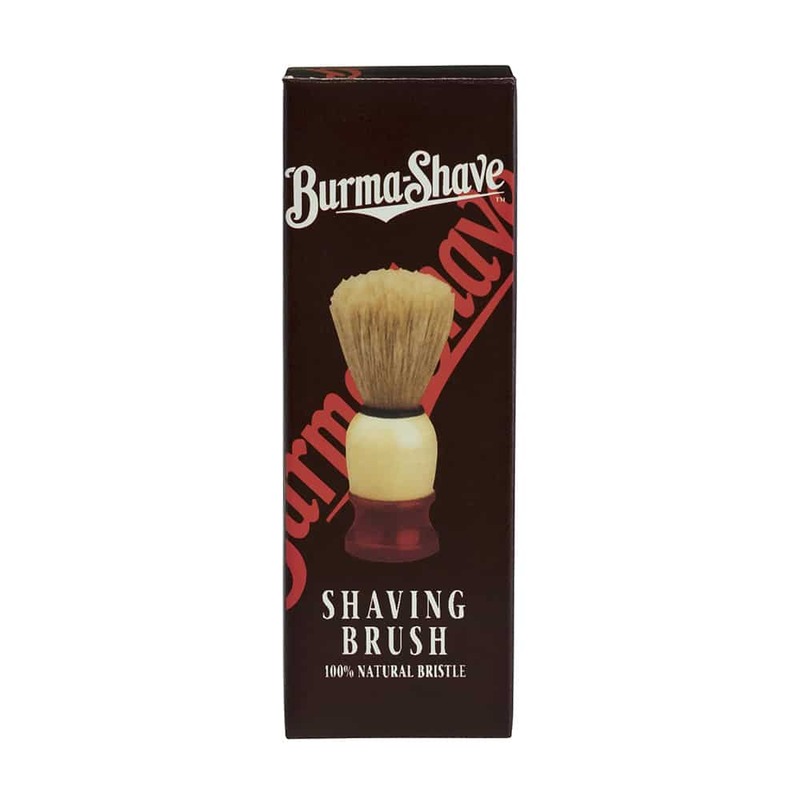 Perfect for the beginner or the experienced shaver, the Burma Shave Brush is a worthy addition to every shaving routine.  Wet the shave brush with warm water. 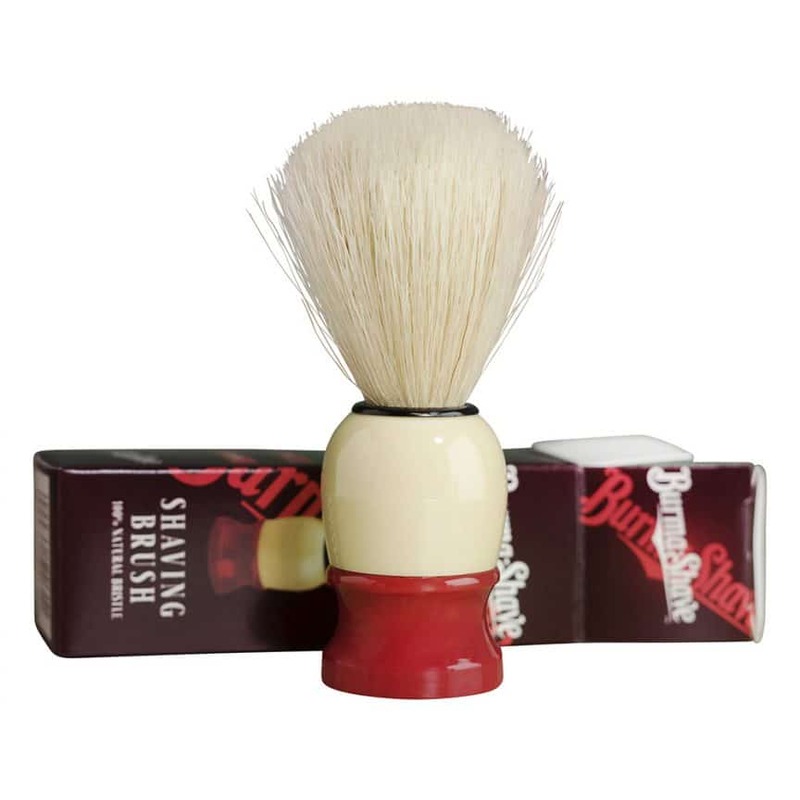 Dip brush into shave cream so enough covers the bristle tips. 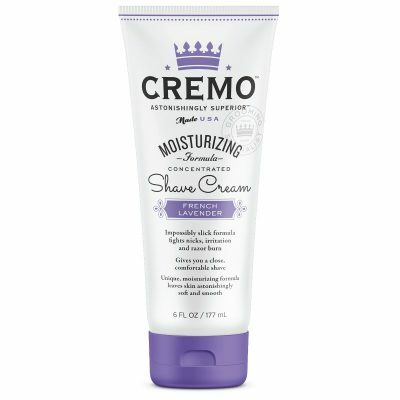 Lightly lather onto your beard. 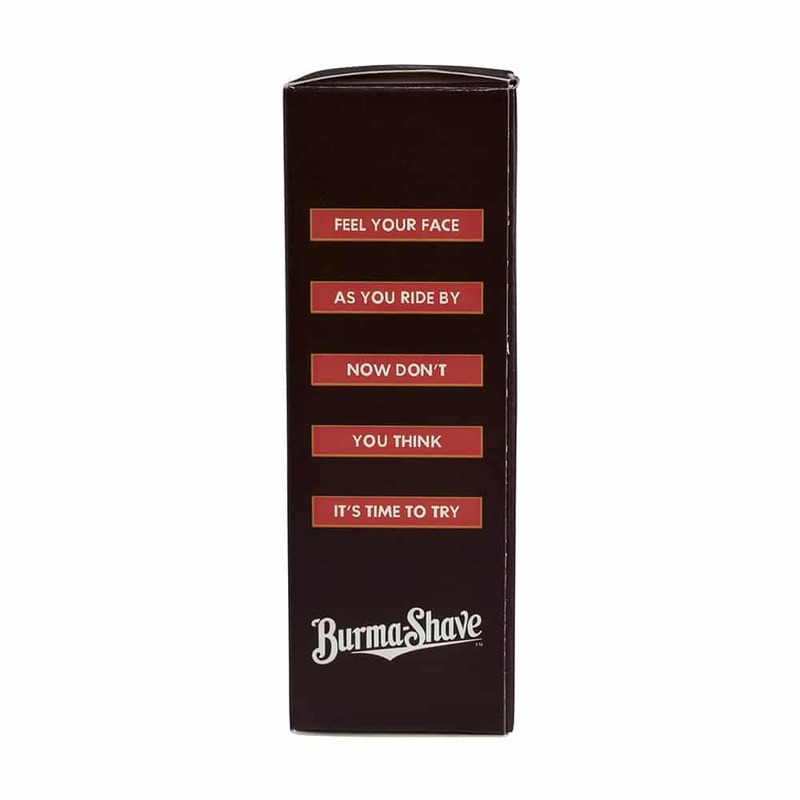 After use, thoroughly rinse and shake dry, leaving upright in the open air.